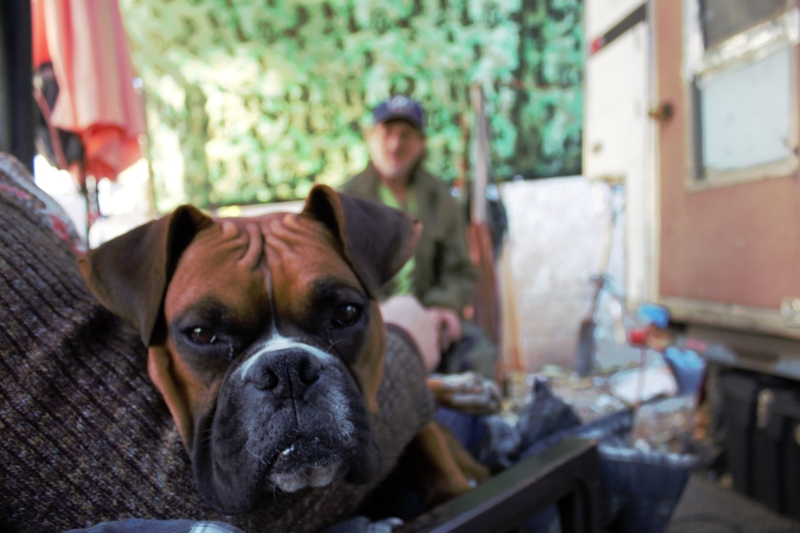 This ethnographic film explores the role of pet ownership in identity construction among homeless individuals and identifies the barriers that are unique to this group with regard to shelter, transitional housing, and access to available services. The rationale for maintaining pets as people move in and out of homelessness is no different from the reasons that any one has pets: they are companions, guardians, and even family members. This film contributes to the body of documentaries about homelessness in the United States in a few unique ways. First, the uniting themes among the individuals portrayed in many films are mental illness and addiction. While these are common issues, they do not present a holistic view of homelessness. Rather, they reinforce existing stereotypes held by the public whose understanding of this social problem is constructed around a de-humanized “crazy-junkie-bum” archetype. Replacing the themes of addiction and mental illness with pet ownership creates a relatable picture that will elicit a different response, making this a powerful tool for advocacy. A second contribution of this film is its location. The majority of documentary films on this topic are filmed in Los Angeles or New York. These two cities certainly have huge populations of homeless individuals, however Wichita has the unique distinction of being a “passing through” city for those traveling, and of serving a rural population of homeless individuals. Through interviews with homeless pet owners and service providers, we offer a glimpse into the day-to-day lives of this invisible population that is often overlooked and a new perspective on the challenges facing service providers as they try to assist people and their pets. Copyright (c) 2016 sarahruthtaylor.com. All Rights Reserved.